Yogurt, a dairy product with consistency similar to sour cream, is made from the natural fermentation of milk by bacteria. Enjoyed across many cultures, in the West, yogurt is typically consumed as a snack or breakfast food and is often eaten as a frozen dessert. 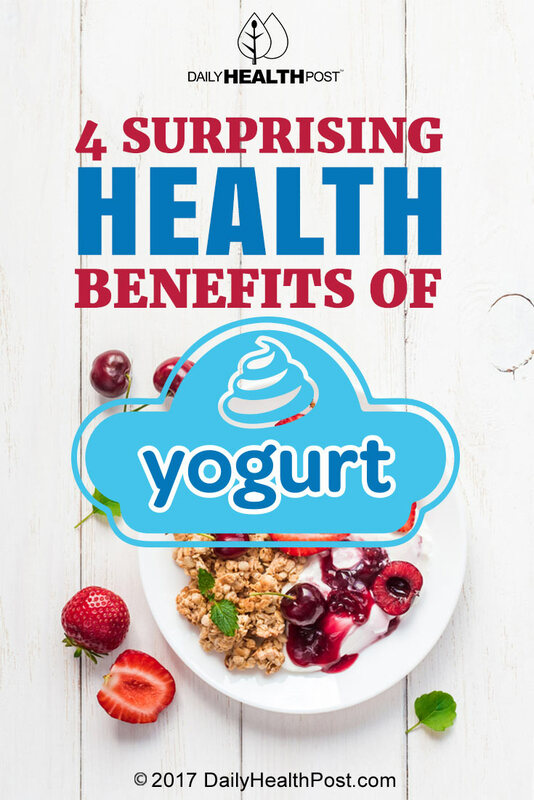 Most people eat yogurt for the taste, but there are a number of surprising health benefits associated with regularly eating yogurt. These benefits include the prevention of high blood pressure, faster work out recovery, dental health and even prevention of the common cold. Read on to find out what yogurt can do for you! 1. Yogurt may prevent high blood pressure. Daily consumption of low-fat dairy products has long been linked with optimal weight control and the prevention of high blood pressure and heart disease. Recent research out of Tufts University in Boston has shown a specific link between the regular consumption of yogurt and a decreased risk of high blood pressure. Dr. Huifen Wang and colleagues determined that consuming just 6 ounces of yogurt, at least every 3 days, lowers your risk of high blood pressure by 31 percent. More specifically, the study – conducted among more than 2,000 adults – found that if at least 2 percent of a participant’s daily caloric intake came from yogurt, their high blood pressure risk would be lower. 2. A cup of Greek yogurt can help you recover faster after a workout. Greek yogurt is regular yogurt’s thicker and beefier cousin. Additional whey is strained off of the yogurt to give you a truly thick and creamy product that is notable for the high amount of protein contained per serving. As a result, Greek yogurt is an ideal food to consume post-workout to encourage quick recovery and optimal muscle growth. 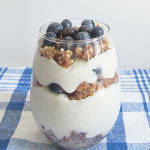 Doug Kalman, R.D and director of nutrition at Miami Research Associates told Men’s Health that Greek yogurt “is an ideal combination of protein and carbohydrates for exercise recovery and muscle growth.” The carbs will help balance out insulin and the protein will help you pack on the muscle.